Since our last blog entry, I have worked diligently on the March issue of Gospel Gazette Online. I am waiting for submissions from two staff writers to finish it up and publish that edition of GGO to the Internet. The local World Evangelism Team members in Winona, MS as well as Gay and Byron Nichols in Springfield, MO and Janet and Wayne Barrier in Florence, AL have been working on various facets of volumes 84 and 85 of The Voice of Truth International. Volume 83 hasn’t arrived from the printing company yet, so you can see that there is some significant behind the scenes lead time involved in the production of this quarterly magazine. Hasn’t this winter weather been interesting! No snow here, just rain, cold and some ice, but my order for printed envelopes got stranded for days because of snow in the north – half of the order stuck in Ohio and the other half stuck in Kentucky; part of the order arrived Friday and the balance is scheduled for delivery on Monday. All of the 190 Bibles we ordered for distribution in Guyana, South America have arrived. Volunteers from the West President Church of Christ in Greenwood, MS will be inserting into each Bible a “Basic Bible Reference Bookmark” and one of my tracts, “The One True Church of the Bible.” Young people from the congregation will accomplish this a few days from now on a Sunday afternoon. We are thankful for brethren helping we team members in Winona from time to time. Today, mostly youths from the Strickland Church of Christ in Glen, MS came to Winona and worked in the World Evangelism Building. They packed books into boxes for overseas distribution, loaded a trailer with literature that is also bound for abroad and counted out tracts into bundles of 25 to fulfill requests from stateside churches. Our coworkers, Jerry and Paula Bates are sponsored by the Strickland congregation. Thursday, Bonnie and I headed for Jackson, MS for Bonnie to undergo another (the third) paracentesis, which drains fluid from the abdomen. This time, 4.1 liters (about 8 pounds worth) was drawn off; within the last six weeks, nearly 12 liters has been removed. The buildup of fluid results in pain and nausea, and so Bonnie feels better afterward. Friday, Bonnie underwent another round of chemotherapy, a combination of two cancer drugs, a steroid and anti-nausea medicine. Bonnie became ill during treatment, but additional medicine helped. We must return to the cancer center on Monday because Bonnie’s blood counts are very low. At that time, she will receive an injection that will aid in restoring her blood counts. 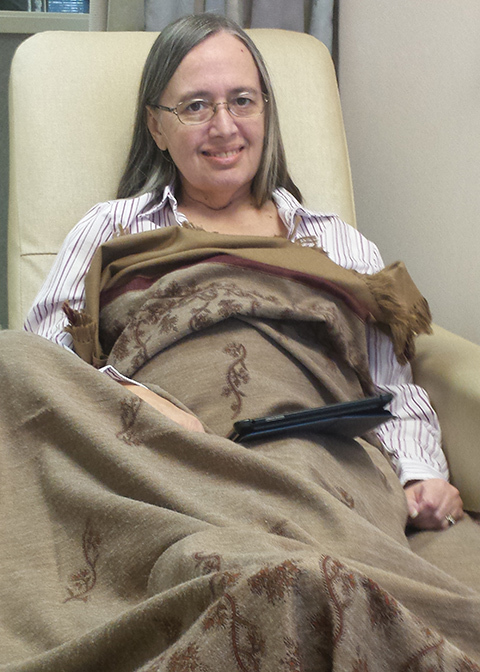 The picture accompanying this blog entry is of Bonnie on Friday while she received her chemo treatment. On a side note, our daughter Rebecca was the speaker for a ladies’ inspiration day today in Tennessee. I was mistaken when I critiqued her preaching at 3-years-old, telling her that girls don’t preach. Biblically speaking, there is an arena for public teaching of the Word of God by Christian ladies, and both Bonnie and Rebecca seize those opportunities stateside and overseas, too. Another postscript, last evening we were alerted to a popping noise and the smell of an electrical fire emanating from our kitchen. After a few failed attempts to identify the source, finally we were able to isolate the cause, suspecting that the refrigerator was the culprit. A local handyman confirmed it this morning when he plugged the refrigerator back in and it caught on fire. No damage other than certifying that we need to replace the refrigerator, which will happen Monday while we are away in Jackson for medical treatment (see above). We have resorted to an old ice chest for the interim – not so convenient but doable, of course. We are just glad we were home to intervene in the episode for fear had we not been here, the house may have burned to the ground. Bonnie and I remain devoted to each other and dedicated to serving our Lord Jesus Christ to the fullest extent we possibly can. Thank you for enabling us to do just that. Please continue to remember us in prayers. Bonnie and I continued to press forward over the preceding a couple of weeks. Admittedly, I have spent a lot of time caring for Bonnie in her illness and seeing to domestic duties. Sometimes this includes spending all day going to, at and returning from medical appointments an hour and a half from our domicile; last week, we made this trip twice. Still, we devote ourselves in whatever ways possible to serving our Lord Jesus Christ. I have been working on the February edition of Gospel Gazette Online, which was published today. We are in our 17th year of publication on the Internet. This month, we are highlighting the biblical studies of brother George Jensen; in March, we will return to populating GGO with the articles of numerous brothers and sisters in Christ. Although neither Bonnie nor I were able to be a part of the Annual Nationwide Guyanese Seminars as Bonnie receives medical treatment, the program, nevertheless, continued and is even now ongoing. Brother Nigel Milo is one of the most accomplished Guyanese evangelists – academically and biblically. Whereas he always arranges and directs every aspect of our yearly program throughout his country, this year he has taken a more energetic role as the primary speaker, too. In all, 15 seminars across all 10 regions are scheduled, and some of those seminars and Gospel meetings have already concluded with attendances ranging from 14 to 140. Amusingly (now that the hiccups are past), one of the banks through which we wired thousands of dollars for the seminars held up the funds until they were satisfied that we were neither funding terrorism nor drug trafficking. Likewise, the shipping company through which we sent three 75-gallon drums of Christian literature (including 1,820 copies of The Voice of Truth International) paused our shipment until they could ascertain the same information about which the bank inquired. Thousands of tracts and hundreds of books for use by brethren and non-Christians in Guyana are in that shipment. A deacon of missions and his eldership determined to commit $1,200 for the purchase of NKJV Bibles for distribution in Guyana, South America. Over the next few days, we will be acquiring those Bibles for later shipment to Nigel Milo; he will distribute Bibles to members of the church, and other Bibles will be made available to Gospel preachers who could use them for their studies as well as from which to teach and preach. Especially Betty Choate, Bonnie and I have worked diligently in recent weeks to make Volume 83 of The Voice of Truth International ready for the printing company. A few weeks from now, a freightliner will pull up, and we will unload our share of the shipment into our warehouse – to be prepared and shipped out days later across America and overseas. Amid the sick days (Bonnie’s pancreatic cancer, my gallbladder surgery), we purposed to devote ourselves to the several areas in which we can make a difference for the edification of Christians and non-Christians, too. I’m in my own element when I can teach and preach God’s Word, and this past Sunday because of the illness of brother Mike Schmitz, I was delighted to teach (The Ascension of Jesus Christ) and preach (a PowerPoint presentation, The Church in Prophecy) for the Old Union Church of Christ in Carroll County, MS. My calendar is completely cleared to take care of Bonnie, so I was available, and she got to hear two lessons that she had never heard me present before; these days, I usually change pulpits as I travel instead of change lessons. Thank you for your continued prayers and well wishes. Your moral and financial support make it possible for us to serve Jesus Christ stateside and abroad on your behalf. Today, Bonnie contributes a brief, two-week medical update below. My days are divided between caring for Bonnie and domestic duties on one hand, and on the other hand, continuing to participate in numerous facets of our overall mission and literature program. Tomorrow, I will provide a brief, two-week overview of our ongoing work for the Lord. 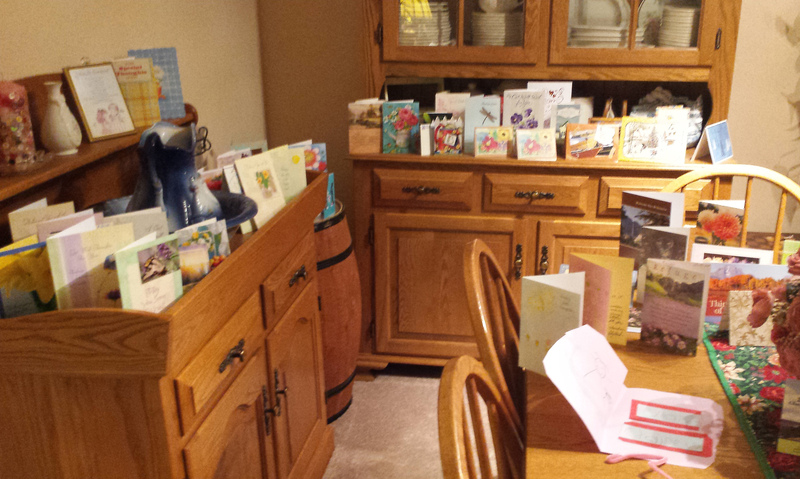 For now, though, I give the remaining space this day to my dear wife. Sunday January 25th, we worshipped with Rebecca at the Collierville, TN congregation. I was extremely tired during Bible class and worship. I took a nap while Rebecca fixed lunch. When it was time to leave for second service – they meet at 1:30 p.m. – I opted to stay home. Sunday evening my temperature rose to 102.5. Rebecca called the oncology office, and after a series of phone calls, an antibiotic was called in to the local Walgreens. It was decided that I had an infection from the parenthesis performed the week before. The following Sunday back in Winona, MS, I was again not feeling well. My abdomen had swollen and was extremely uncomfortable. First thing Monday morning, I called the oncology office and explained the swollen abdomen, pain and discomfort. It was time for another parenthesis. As soon as an appointment was scheduled, we headed 1 ½ hours south to Baptist Hospital in Jackson, MS. This time 3.6 liters of fluid drained from the abdomen. I was sick most of Tuesday and Wednesday. Thursday was a little better, and I spent a couple hours at the office. It is difficult to determine what caused these bouts of vomiting and inability to eat. On one hand, since it seems to occur late in the evening, it would seem as though the stomach is not properly empting. However, it also seems to be tied to the parenthesis, which is not supposed to have any side effects. 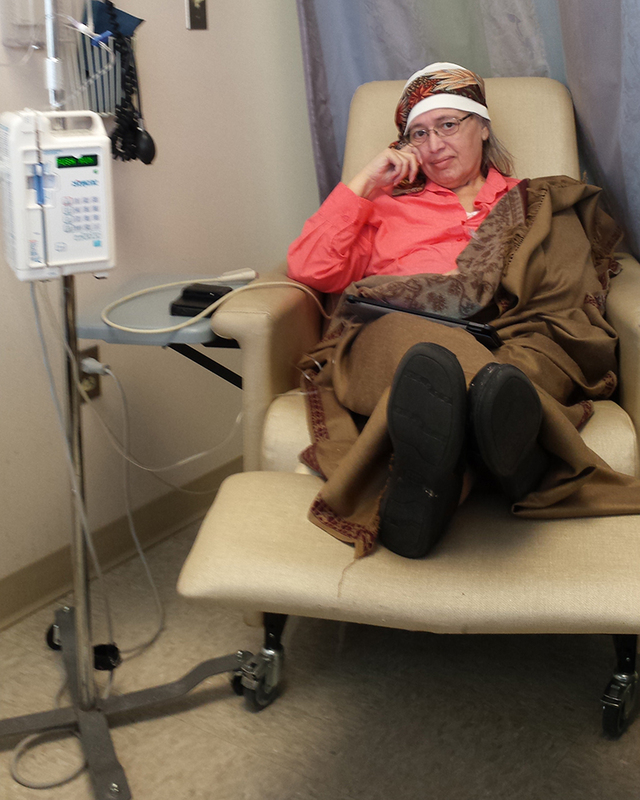 Friday, February 6th, we met with the oncologist, and I had another chemo treatment. After explaining the stomach issues, Dr. Young decided to add another drug to my daily prescriptions. This drug is supposed to help empty the stomach faster. Time will tell if it actually works. When I asked her the prognosis of my illness, she said they are looking at remission – not a cure. She did try to reassure us that it is too early to tell much as I have not had very many chemo treatments this go-around. Also, if the drugs we are currently using do not achieve the desired results, there is another chemo drug we can try. With the combination of the two chemo drugs, I am experiencing major hair loss – not sure, if it is thinning or leading to a complete hair loss. Now, I need to decide if I will get it cut or just wait and see what happens.